2015 ACYD welcomes the following speakers to share their unique perspectives on the Australia-China relationship. More speaker profiles will be updated as the dialogue approaches. Professor Kent Anderson is an international lawyer who specialises in comparing Asian legal systems. He joined the University as Deputy Vice Chancellor (Community & Engagement) in 2014. He has an eclectic background, having completed tertiary studies in US, Japan, and the UK in Law, Politics, Economics and Asian Studies. He also worked as a marketing manager with a US regional airline in Alaska and as a commercial lawyer in Hawaii. Before joining UWA, Kent was Pro Vice Chancellor (International) at University of Adelaide and before that foundational director of the School of Culture, History and Language at the Australian National University. He started his academic career as associate professor at Hokkaido University Law School in Japan. Kent is on the New Colombo Plan Advisory Board, the Board of Canberra Grammar School, and a variety of academic and community boards including the Languages and Cultures Network for Australian Universities (LCNAU). Michael has broad experience in leadership roles over a 25-year career in the rail industry, including freight, passenger and heavy haul rail operations. His experience includes significant national and international industry roles in the rail and transport sectors. He has been a core member of Aurizon’s executive leadership team for a decade, playing a prominent role in the Company’s transformation program and successful transition from a government owned railway to a top 50 ASX company. As Executive Vice President Network, Michael managed annual services to customers for over 200 million tonnes of freight in a business with assets valued over $5 billion, over $1 billion in annual revenues and capital investment programs up to $1 billion per annum. Michael was appointed Executive Vice President Strategy & Business Development in December 2013. He brings unparalleled operational and business experience to this strategic role for the Company as it enters its next phase of transformation and growth. He has been a Director of the Rail Industry Safety Standards Board, the Australian Logistics Council, the Australasian Rail Association, and of the Union of International Railways World Executive Council. Michael also has experience as an advisor to the London Underground during its restructure. Clinton Dines was born and raised in regional Queensland and went to Griffith University in Brisbane, Australia, graduating in 1978 with a Degree from the School of Modern Asian Studies. He is also a graduate of the Course in International Management at INSEAD in France. Clinton arrived in China in early 1979 on a post‐graduate program arranged by Griffith University and has lived and worked continuously in the Greater China Region for almost 36 years, mostly in mainland. Early in his business career Clinton occupied frontline operational and commercial management positions in China with the Jardine Matheson Group, the Santa Fe Transport Group and Asia Securities Venture Capital. In 1988 he was recruited by BHP to be the company’s senior country executive for China and stayed with the group for more than 21 years, retiring as President of BHP Billiton China in July 2009. Throughout his career Clinton has specialised in both the strategies and business practices involved in negotiating, establishing and operating Sino‐Foreign ventures, and in the management and development of foreign‐invested and operated businesses in China. In an organizational setting he has developed and overseen processes and teams executing strategic marketing, organizational change, macro and sectoral trend analysis, and business development in China. He was closely involved in one of the earliest Sino‐Foreign joint ventures in China in 1980 and he has subsequently been continuously involved in a wide range of joint ventures and wholly‐owned investments, business development initiatives and commercial operations across a variety of industries and regions in China. Clinton is a fluent Mandarin speaker and after 14 years in Beijing relocated to Shanghai in late 2002 to run the merged and restructured BHP Billiton China operations from there. He was a prime mover in the establishment of the Australian Chamber of Commerce in China in 1993 and chaired that organization again from 1998 to 2000. He is a Founding Governor of the Capital Club in Beijing, served as President of the Board of the Shanghai Community Sports Club for nearly a decade, was a founding Member of the Oriental Mining Club Board and has been involved in various charitable and not‐for‐profit organizations. In 2006, he was the only non‐Chinese person invited by the Beijing Organizing Committee for the Olympic Games to sit on the judging panel to select the design for the Beijing Olympic Medals and he was also named by the Australian Olympic Committee to be the Attaché to the Australian Olympic Team for the Beijing Olympic Games in 2008. He is currently a Non‐Executive Director of Kazakhmys plc, Zanaga Iron Ore Company, Aurecon Group and North Queensland Airports. He is also a member of the Griffith University Council. Clinton is married to Jeronia Muntaner, another long‐term resident of China from Spain who is a Montessori Teacher Trainer and has worked for the past 8 years in Chinese orphanages as a Program Director for the Half the Sky Foundation. They have three children – a son and two daughters ‐ the youngest of whom was adopted in China. Clinton and Jeronia relocated their family base from Shanghai to Brisbane in December 2014. He offers high-level strategic communications, government relations and media relations advice – including crisis media management and media training – and an unrivalled insight into the workings of Australian and international news media. Eamonn is the Director of Hawker Britton’s Queensland office, takes primary responsibility for NSW matters and leads the company’s public affairs, communications and issues management practice. He also has an unrivalled background in government communications at State and Federal level having been the Director of NSW Government Communications, senior press secretary to two Australian Prime Ministers, the principal media adviser to two Australian Premiers (in NSW and Queensland) and a number of state government ministers. Most recently, he served as Director of Strategy to Federal Opposition Leader, Bill Shorten. Eamonn began his career as a journalist with Hong Kong’s South China Morning Post and later worked for The Sydney Morning Herald. Most recently, Eamonn served as the Global Communications Lead for The Fred Hollows Foundation, one of the world’s leading eye health NGOs. Daniel Gschwind is the CEO for the Queensland Tourism Industry Council (QTIC). QTIC is Queensland’s peak tourism industry body with more than 3,000 regional members. Daniel represents QTIC on various committees and advisory boards including the Tourism Research Advisory Board, University of Queensland Industry Advisory Board, the Griffith Institute for Tourism Advisory Board, the Bond University Regional Advisory Board, the GBRMPA Tourism Reef Advisory Committee (TRAC) and the Reef and Rainforest Research Centre (RRRC). He is also the deputy chair of ATAP Ltd that owns the Australian Tourism Accreditation Program and is chair of Australian Tourism Awards Ltd.
Daniel is an Adjunct Professor at the University of Queensland Business School. He is the Honorary Consul of Switzerland for Queensland. Daniel holds an honours degree in economics from the University of Queensland and has worked as a senior economist with Queensland Treasury. He is a Vice Patron of Surf Life Saving Queensland, an Ambassador for the Queensland Museum Foundation and an Ambassador for the World Tourism Forum. International Banking Executive supporting Australian businesses trading, investing or expanding into Asia Pacific. Focused on both inbound and outbound transactions. Kip has 21 years international experience in the financial services sector; with leading banks (ANZ, Merrill Lynch Bank of America, St George Bank) and professional advisory firms (Deloitte, Grant Thornton). Kip has worked for ANZ for the last 10 years including recently spending 2 years in China as Senior Advisor to ANZ’s partner Shanghai Rural Commercial Bank. Kip was responsible for supporting SRCB’s leadership team with their strategy as well as providing SRCB banking solutions for ANZ customers operating in China. Prior to this Kip spent 4 years working as a Senior Relationship Manager for Corporate & Commercial Banking and 2 years as a Senior Manager in Corporate Lending Services, in ANZ New Zealand. Kip is a Chartered Accountant with senior corporate finance experience. Terry by original trade(s) was a pilot, software engineer and econometrician, based upon degrees earned at the University of Sydney. After leaving the RAAF he was a public servant and became CIO of the Commonwealth Employment Service and the senior public servant in charge of Australian Government innovation policy and programs during the first venture capital bubble. He then became a venture fund general partner, based out of Japan, both raising a fund (The Japan Australia Venture Capital Fund) and investing in early stage Australian technology companies (such as Cochlear). Taking his gains he moved to China, where he founded or invested in a range of technology based startups, mainly in the wireless internet field, starting in 1995. During and after the second venture bubble he founded and/or invested in a number of venture backed startups, including NextEd, which were generally based in Australia and China. Most recently, during the third venture bubble, he has indulged both his China and education startup passions by working with Australian technology accelerators and startups, often in the edutech field, to enter the Chinese market and obtain investment from Chinese sources. Brigadier Michael Mahy graduated from the Royal Military College, Duntroon to the Royal Australian Infantry Corps in 1987. His regimental service was completed with the 6th Battalion, Royal Australian Regiment (6RAR) and the Second Battalion, Royal Australian Regiment (2RAR). He has commanded deployed troops at every level of regimental command, including as Officer Commanding Rifle Company Butterworth, Malaysia. As a Battalion Commander he commanded the Australian Defence Force’s (ADF) Ready Deployment Battalion Group. Brigadier Mahy has had a wide variety of staff appointments since Command and Staff College across recruitment, reserve force readiness, force generation planning, force development and joint operations within the Defence Personnel Executive, Army Headquarters, Headquarters Land Command, Headquarters Forces Command, and Joint Operations Command. He is currently the Director General Military Strategy in Strategy Group, Department of Defence. His operational deployments include service as the Operations Officer for Headquarters Sector West, United Nations Transitional Administration East Timor, during 2001. In addition, while Commanding Officer 2 RAR, he raised and commanded Al Muthanna Task Group Three, providing security for the JGSDF 9th and 10th Iraq Reconstruction Support Group, and formed and commanded the first Overwatch Battle Group (West) as part of 20 Armoured Brigade (UK), in Iraq in 2006. His most recent operational deployment was during 2013 and 2014 as the Assistant Commander – Afghanistan for Combined Joint Task Force 633, providing national command and support for all ADF elements deployed in country. He is a graduate of the Australian Army Command and Staff College and the US Army War College. He holds a Bachelor degree in Professional Studies (New England) and Master degrees in Defence Studies (Canberra), Public and International Law (Melbourne Law School), and Strategic Studies (Carlisle). He has also completed the Joint Land Component Commanders Course (Carlisle), the US Capstone Program (joint operations phase), and the National Security College Senior Executive Program (ANU). Brigadier Mahy is married to Sarah who is a practising family lawyer and has three children, James (16), Angus (14) and Elisabeth (10). Ryan Manuel is Strategic Research Fellow in the Australian Centre on China in the World (CIW), and Asian Century Graduate Fellow at the Crawford School of Public Policy, both at the Australian National University. His research interests are Chinese domestic policy and Australia-China relations, in the pursuit of which he manages CIW’s Australia-China research stream and the Morrison Project. Ryan is also a member of the Editorial Board of both East Asia Forum and East Asia Forum Quarterly. His most recent publication is A New Australia-China Agenda (with Geremie Barmé). Emma McDonald is an expert in foreign direct investment, project feasibility and development, policy and planning across several industries, most recently in tourism. She has over 20 years' experience with the private sector and with state and commonwealth governments in project delivery, program management, public affairs, major project facilitation, indigenous affairs and regulatory reform. Currently an employee of the Australian Trade Commission (Austrade), Emma manages a national team which specialises in tourism investment, policy and deregulation. She also designed and implemented a national tourism major project facilitation service, which works with state and territory governments to help proponents of major tourism projects navigate and streamline government approvals. Prior to joining Austrade her recent roles included working on energy projects in the Department of Resources, Energy and Tourism; the roll out of remote indigenous housing in the Department of Families and Housing, Community Services and Indigenous Affairs; and managing public affairs and undertaking asset sales in the Department of Finance. Emma has formal qualifications in town planning and recently participated in the Global Leadership Practices Program at the the China Executive Leadership Academy Pudong (CELAP), Shanghai. She brings a client-focused and commercial perspective to her work as well as a thorough working knowledge of how governments can change policy settings to support a thriving tourism sector. She enjoys working with investors, state and local governments, institutions and representatives to help deliver outstanding tourism infrastructure that will help grow the industry. Andrew O’Neil is Professor of Political Science and Head of the School of Government and International Relations at Griffith University. From 2010 to 2014, he was Director of the Griffith Asia Institute and previously Associate Dean for Research in the Faculty of Social Sciences at Flinders University. Prior to entering academia in 2000, Andrew worked as a Commonwealth Public Servant. Andrew has taught and supervised at all levels in Australian universities and has delivered classes at Nankai, Hiroshima, and National Chengchi Universities. As part of research teams, he has won funding from the Australian Research Council (most recently for a Discovery Project on extended deterrence with Stephan Fruhling from ANU) and between 2009 and 2013 Andrew was editor-in-chief of the Australian Journal of international Affairs. 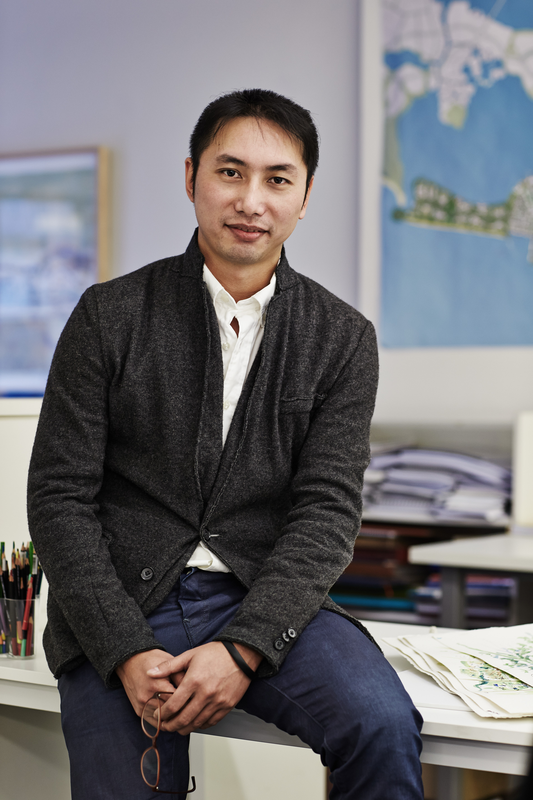 Chi Tang is an architectural graduate from an award-winning top tier international architecture firm, BVN. She has worked on a variety of project types including aged care, educational, workplace, public, residential and a range of design competitions. She is currently working on an Independent Living Unit project which is developing new design ideas that involves substantial research to establish a benchmark in high density living for aged residents. Chi’s particular interest is in public, ecological and community architecture, they were the areas of her research during her bachelor’s and master’s degrees at the University of Queensland. She travels often to different cities to experience and observe diverse cultures and ways of living. Colin Patrick Mackerras is AO, FAHA is an Australian Sinologist, Emeritus Professor at Griffith University, and specialist in Chinese culture. He has written works on Chinese drama, national minorities of China, Australian-Chinese relations and Western images of China. Tom Switzer is a lecturer in politics and international relations and a research associate with the United States Studies Centre at the University of Sydney where he edits the American Review, an online journal of opinion on US politics and foreign policy. In 2015, he also hosts a Radio National show calledBetween the Lines on the Australian Broadcasting Corporation. From 2009 to 2014, Switzer was the Australian editor of The Spectator magazine in London, the oldest continuously published English-speaking publication in the world. Before that, he was opinion editor at The Australian (2001-08), an editorial writer at the Australian Financial Review (1998-01) and assistant editor at the Washington-based American Enterprise Institute (1995-98). He has been published in the Wall Street Journal (US, Asia, Europe), New York Times (international) and the Washington-based The National Interest and The American Interest, and the New York-based Foreign Affairs, among other publications. He studied history (BA first class honours) in 1993 and international relations (MA) at the University of Sydney in 1994. He is also a regular guest on Sky News and ABC (television and radio) and has appeared on the BBC, CNBC, Bloomberg and Al Jazeera English. He lives in Sydney, Australia with his wife Sarah and daughters. Dr Ying Wang is a Senior Lecturer of Sustainable Tourism at Griffith University. Her fields of research expertise include destination management and marketing, responsible business practices, and Chinese outbound tourism to Australia. She has published more than 50 papers in peer reviewed internal journals and conference proceedings in the field of tourism and hospitality management such as Annals of Tourism Research, Journal of Travel Research, and Journal of Hospitality and Tourism Research. Her current research projects include Chinese tourist experience, geopolitically sustainable tourism, travel technologies, online engagement using eye-tracking methodology, and hotel human resource management. She also serves as an ad hoc reviewer for top tourism and hospitality journals. Prior to academia, she worked in hotel and business sectors in China. Rohan is passionate about entrepreneurship and its capacity to creatively solve problems in a sustainable manner that creates wealth for founders, employees and our nation. Currently the Director of the Melbourne Accelerator Program (MAP) and the Director of Entrepreneurial Programs, Carlton Connect Initiative at the University of Melbourne, Rohan oversees MAP and plays a critical role in establishing and nurturing programs to leverage the unique assets of the University to create new ventures. In 2014 Swedish research firm UBI Global ranked MAP the 13th best program of its kind in the world from over 800 programs in 67 countries. Prior to joining the University of Melbourne, Rohan worked in a boutique corporate advisory firm where he gained experience in industries including telecommunications, logistics, manufacturing and property before he left to start his own business. Rohan is a co-founder and current Director of RosterCloud, which provides HR management software to companies across Australia. Rohan received a Bachelor of Commerce from the University of Melbourne and you can follow him on Twitter at @Roh_Workman. Jemma Xu is the CEO and cofounder of Tripalocal, a travel tech platform focussed on bringing authentic local experiences to Chinese outbound travellers. Tripalocal was in batch #2 of the Telstra backed incubator muru-D and closed an angel round of A$850,000 led by a Chinese VC. Jemma is currently working closely with Terry Hilsberg, Chairman of Tripalocal and one of the 2015 ACYD speakers, to prepare for Tripalocal’s next phase of growth in China. Prior to cofounding Tripalocal in late 2014, Jemma was an investment banker with Macquarie Group, primarily focusing on opportunities in the natural resources sector. Jemma was also a National Executive for the Australia China Young Professionals Initiative. As an Australian – Chinese, Jemma is fluent in Mandarin and has a long held interest in cross-border investments and international relations, particularly in the Asia-Pacific region. During her university years, Jemma was awarded a language scholarship to study intensive Chinese in Beijing and received a Universitas 21 Scholarship to complete a summer course in Dublin. She won and represented the University of Melbourne in various management consulting and investment banking case competitions. To gain a better understanding of China beyond the business arena and outside of Tier 1 cities, in 2013 and 2014, Jemma spent a few weeks volunteering in rural Guizhou and Gansu provinces where she had incredible experiences. Jemma completed a double degree in Civil Engineering (Honours) / Commerce from the University of Melbourne. Jemma also holds an Associate Diploma in Music on Clarinet with Distinction (A.Mus.A). DR. JIAN ZHANG is Deputy Head of School, School of Humanities and Social Sciences, UNSW Canberra, the University of New South Wales at the Australian Defence Force Academy. He received his Bachelor’s and Master’s degrees from Zhejiang University, China, and his PhD from Murdoch University in Australia. He specializes in Asia-Pacific Security affairs especially China’s foreign and security policies, China’s military modernization and Australia-China relations. He has published widely in various international journals and edited volumes. He is a member of the Australian Committee of the Council for Security Cooperation in the Asia Pacific (AUS-CSCAP). Dr. ZHAO Yongchen assumed his current position as Consul General of the People’s Republic of China in Brisbane in July, 2013, following his previous posting as the Minister of the Chinese Embassy in Russia Federation since 2011. Before he started his life as a career diplomat, Dr. Zhao had a long history engaged in teaching, research and practices of law and law enforcement. He was the professor of the People's Public Security University of China, where he published plenty of works and essays on criminal law, international law, and international politics. He was appointed as the Deputy Director General of the Ministry of Public Security and worked there for 10 years. He is also the Adjunct Professor of the School of Languages and Cultures, University of Queensland since 2014.